Scream, Dracula, Scream! You're the star of Dracula Untold, which has revealed it's first epic trailer here. This is the directorial debut of Gary Shore, and it looks big, expansive and bombastic. Yes, that's Luke Evans, upending the tradition of masses of soldiers crashing into each other. Now, they're actually fighting against Evans' BATS! Presumably, this is 1400's Romania that finds our new Drac Luke Evans, a family man and head of an empire that needs, nay demands, that he become a vampire. THE vampire, as you will. Yes, the origins of Dracula have been told before. Usually they're more interested in the horror aspect. A rarely-discussed vision of the real-life Vlad Tepes is the USA telemovie Dark Prince: The True Story Of Dracula. Dracula Untold doesn't seem to be that movie. It seems as if Dracula is protecting his son from going to war, defending his family by climbing a massive mountain to become a vampire? Do we have that right? And apparently before Dracula there was an O.G. Vampire just living on his own in the mountains, waiting for Drac to arrive? Super convenient! From that point on it's some conquering, some human-munching, and a whole lotta CGI. There's also Dracula apparently responding to ungrateful townsfolk by claiming, "You're alive because of what I did to save you!" Way to guilt-trip, Dracula. The whole thing is underscored, kind of dubiously, by Lorde's cover of Everybody Wants To Rule The World from The Hunger Games: Catching Fire. Shore is a guy who has campaigned for almost every studio job in the world thus far, and the fact that he's got one seems like a victory. But this trailer doesn't show much of his famous visual style, one that feels based in unique natural light and pop-up editing to suggest the artificiality of some surroundings. You'd hate to imagine producers thinking they could push around a fresh filmmaker and enforce a mundane gray-black visual scheme onto this movie, but it's very likely that's what happened. 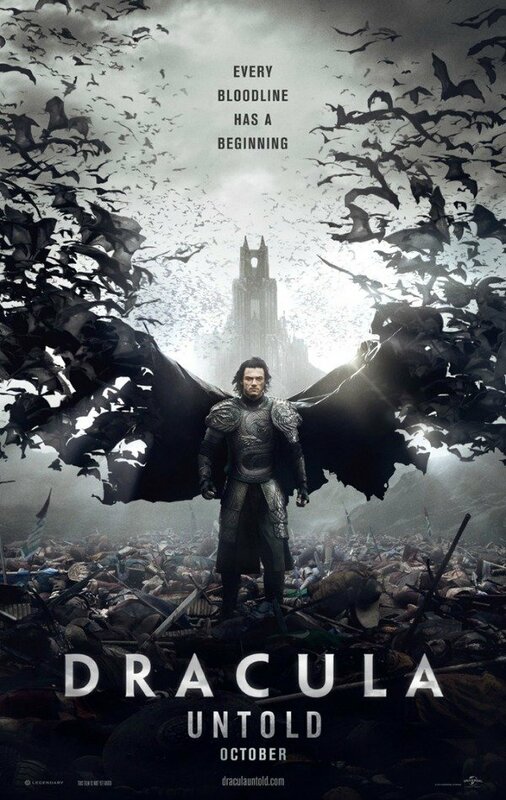 Dracula Untold opens October 17th. Fingers crossed it's not terrible!